A US politician who believes gay marriage is “inevitable” is to speak in Belfast on Friday. Daniel J O’Donnell will speak at the University of Ulster in York Street at 4.15pm. Gay marriage became legal in New York State this year, and Amnesty International, one of the event organisers, calls him the author of the law. Mr O’Donnell, a gay member of the Democratic Party on the state’s Assembly, said: “We came through the same battles for marriage equality in the United States which Northern Ireland now faces. Since 2011, the Northern Ireland Assembly has rejected calls for gay marriage four times. 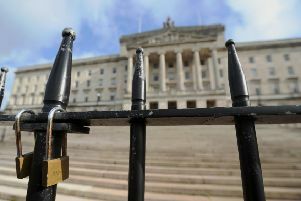 The DUP has derided Sinn Fein’s suggestion of a fifth debate as a an attempt to “flog the same dead horse”.